Karen Potter brings years of experience in customer service, sales, and negotiations to The Hart and Homes Real Estate Team at RE/MAX in Motion in Ithaca, NY. During her better than 20 years in a variety of sales and customer service roles, Karen has always placed the needs of her clients first and provided them with the highest level of service by being proactive and detail orientated. As your REALTOR, Karen will be your advocate and work tirelessly for your best interests. She will ensure that you are provided with the best market data and information so you can be a well informed buyer or seller. 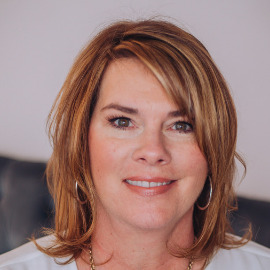 Karen works with a team of tenured and respected REALTORS within a support network designed to ensure timely communication and client accessibility during all phases of the buying or selling process. Karen is married to her husband of over thirty years, Jeff, and they have lived in the area for over two decades. She enjoys cooking, entertaining, reading and spending time with her 3 grown sons.